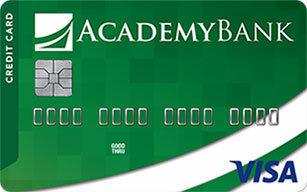 Academy Bank is proud to deliver the highest level of security for our Online Banking customers. Enhanced Online Security is an additional layer of security that keeps your personal information secure and helps protect you from fraud and identity theft. The system uses multiple layers of security ensuring unauthorized users cannot gain access to your accounts. We do this by verifying three important criteria: your login credentials, your device, and your location. Before entering your password or answering the security challenge, check your browser's address bar. We've added an additional layer of security that shows if you are connected to a safe server. If your browser's address bar is green, your connection is safe. If it's not green, stop your login process and contact us. How do I enroll in Enhanced Online Security? You will be prompted to enroll when you sign up for Online Banking. Simply enter or update your email address, select and provide answers for three challenge questions, and select whether the computer you are logging in with is a personal computer or a public computer. What challenge methods are available? There are two challenge methods available, email or challenge question and answer. Text message option is not available. What is the impact if I enter my mobile number in the email address field? All future email communications we send to you will be redirected to the mobile number. This includes notification of e.Statement availability, important communications, and/or new product and service notifications. If someone steals my password, will Enhanced Online Security prevent them from accessing my account? Yes. If an unauthorized person tries to log into your account from another computer, they will be challenged using the challenge method you choose at enrollment. Without this additional personal information, they will not be able to log into your account. How do I know I'm at the valid Online Banking site? Before entering your password or answering the security challenge, check your browser's address bar. We've added an additional layer of security that shows if you are connected to a safe server. If your browser's address bar is green, your connection is safe. If it's not green, stop your login process and contact us. Can I access Online Banking from multiple computers? Yes, you can access Online Banking from any number of computers. If you log in from a computer that you haven't used for Online Banking before, you will be asked to verify your identity by entering a one-time passcode sent to your email address or by answering the challenge questions you established. I share my computer with someone who also uses Academy Bank Online Banking. Can both of us still log in from this computer? Yes. There's no limit to how many people can log into Online Banking from the same computer. Remember not to share your access ID, password, or answers to your challenge questions. I chose "remember this computer", but I'm still being asked to answer a question. Why? For your security, a number of factors are evaluated to determine if a security question is presented. Some Internet browser settings, like restrictive privacy filters and automatically deleting cookies, are not compatible with this setting. Click on "Mobile & Online Banking Options" at the top of the page. On the Options page in the "Security Data" section, click "Edit." Select the question you would prefer to be asked as the "Challenge Question." Enter your response as the "Answer." On this page, you can modify additional challenge questions using the same steps. When you're ready, click the "Submit" button.